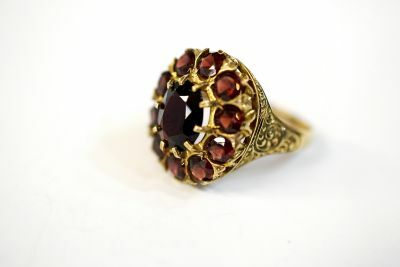 A beautiful Edwardian 9kt (English Hallmark c.1907) engraved yellow gold ring with 1 oval faceted cut dark red garnet, est. 2.39ct and 10 round faceted cut medium intense red garnets, est. 2.10ct.